At the bitter end of a deal, when tempers flare and everyone is anxious to finalize, Carrie remains even keeled and focused. Her upbeat personality is often an asset when small sticking points seem like deal breakers. Carrie is dedicated to accomplishing her clients’ goals. 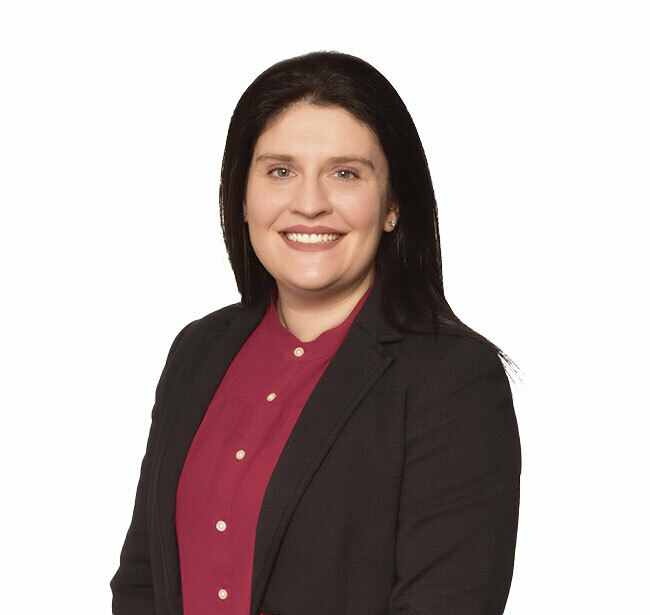 As a member of the firm’s Corporate Practice Group, Carrie represents small to medium sized businesses in a wide variety of matters, and assists with acquisition or disposition of assets/equity ownership and sales, and commercial contracts. She is able to guide business owners, investors, and privately held and start-up entities on all aspects of business legal matters, including organization and business planning, private offerings, corporate governance, tax planning, and the negotiation and documentation of business transactions. Always willing to go the extra step for business owners, Carrie designs and implements business succession plans and estate plans. She assists both businesses and individuals in commercial and residential real estate purchases, sales, leases, title issues and 1031 exchanges. Carrie also assists with financing, including borrowing, lending, and private equity. She has extensive experience in all aspects of commercial finance transactions and provides a variety of related services, including structuring of loan transactions, compliance with loan and security requirements, intercreditor arrangements, priority issues, regulatory compliance, preparation and negotiation of loan agreements, preparation and registration of requisite security documentation, and perfection of security interests. Carrie handles trademark and servicemark registration, maintenance, licensing and enforcement, and has successfully represented clients in front of the U.S. Patent and Trademark Commission on contested issues.